Here’s another hot Kohl’s Deal! 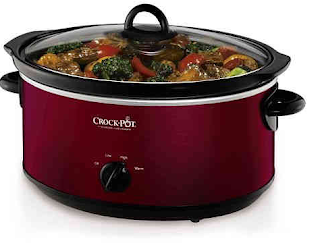 Get this Crock-Pot 7-qt. Slow Cooker for $8.99 (Retail $39.99) when Kohl’s Cardholders use the codes SALUTE10 and TURKEY30 and SHIPMVC and submit this $5 mail in rebate. If you’re not a cardholder, use the codes SALUTE10 and HARVEST15 to get the Crock-Pot for $16.99 – then submit for the $5 mail in rebate, which makes your final cost $11.99! Choose free in-store pick up if available near you or shipping is $8.95 or free on orders of $50 or more.